Production: UK / USA, 2012. Release Dates: 13.01.2012 (USA), 12.01.2012 (Russia). Genres: Action / Drama / Crime / Thriller. Starring: Mark Wahlberg, Kate Beckinsale, Ben Foster, Giovanni Ribisi. The Western remake of the three years old Icelandic thriller turns out to be a success in many aspects. 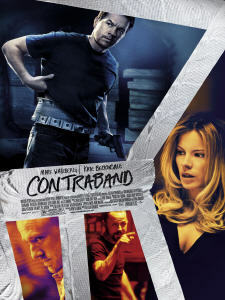 The film Contraband, review of which will tell you more about the modern smugglers activities, has surprised us with its spectacular action set-pieces, a nicely picked cast and the main protagonist of the original movie taking the director’s seat of this new version. The nordic winds have been raging in Hollywood. The creative legacy of the region gets more and more popularity in the west over time. Not so long ago we just shared some criticism regarding Michael Nyqvist performance in the recent blockbuster entitled Mission: Impossible – Ghost Protocol (2011). Really soon after that an another film adaptation of a famous Swedish bestseller named The Girl with The Dragon Tattoo (2011) and written by Stieg Larsson hit the international theaters. The latter now has all the chances to be transformed into a new trilogy featuring already familiar actors, if the box office gets favorable. However, here the continuing expansion of this dark and realistic northern reality vision doesn’t stop. Baltasar Kormákur is a well-known Icelandic actor, director and producer, working both with theater and movie productions. Honorable winner of various film festivals and not only Nordic ones he completed seven directorial works and starred in five projects. In addition, he is always seen actively demonstrating his good physical condition on the set, while personally practicing the stunts in a desperate search for the most interesting scenes. He has already had the opportunity to film a story of a popular book, and dramatic sequences are common to him just as any spectacular fights, where the criminals face some emotional challenges, when walking the line between personal values and family safety. In this Review we will speak about Contraband (2011), which turned out to be a remake of the Reykjavík-Rotterdam movie released in 2008 made for the international audience. Production of a remake is a difficult case in all aspects. However, if you bring in the original team it might be a bit easier, because that crew could already know some professional secrets and emotions to be raised with a broader audience. Reykjavik-Rotterdam became a notable star for the Icelandic film industry, all while getting attention from the critics and appreciation from the public. Even more, this movie happened to be one of the most expensive ones ever produced in Iceland featuring many locally popular actors. The major role here was played by Baltasar Kormákur, who demonstrated a tricky smuggler having to return to his crime career to save his new law-abiding life. An independent American studio, Relativity Media, along with its British partner, the British company, Working Title, has closely worked on the Contraband project, and this is not the first time this entities collaborate together. One of the previous joint efforts led to the release of a spy action comedy known by the name Johnny English Reborn (2011). Let us also note that the Contraband film featured in this Review isn’t related to the movies with the same names released in 1940 and 1980 respectively. 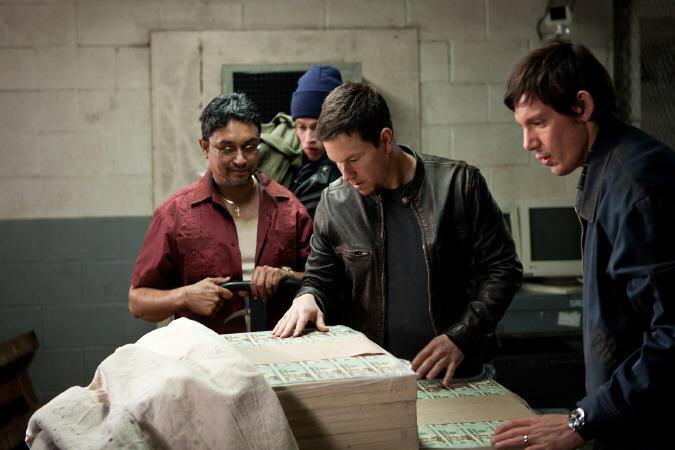 The new protagonist here is played by a charismatic and talented Mark Wahlberg, who already has some experience on stage with handling sophisticated robberies, if you remember his performance in The Italian Job (2003). 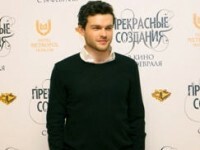 Now he has not only taken the main Chris Farraday’s role presenting an early retired smuggler, but also entered the team of the remake’s Producers. 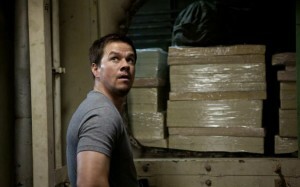 If there is Mark, his brother, Robert Wahlberg, would be nearby on the set, so look for him amongst the supporting cast. When filming the criminals you should always leave a place for those, who usually chase them. Sometimes the officials interfere with the hero’s plans and ambitions, but they might help as well, so in any case it is important to make a realistic appearance for this characters. Here Baltasar Kormákur followed all the procedures. Early enough several government agencies joined the team to review the script. Amongst them we could name the american Customs & Border Protection known as CBP, some port authorities and even the U.S. Coast Guard, who all studied the story carefully to clean out any possible inaccuracies. In particular, they were keen to make some changes and additions, adjust the look of original uniforms on the screen, and readily complement all kinds of the counter-smuggling procedures for the detainment of navigated vessels as well as some professional tricks for evidence search and other cool details. 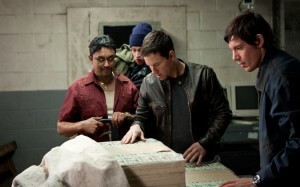 The filming locations for the Contraband movie moved from Europe to the United States with the main events unfolding in New Orleans, Louisiana, that have repeatedly faced the flooding threat and other natural disasters. The authors made a bold step with that, which in turn only benefited from these efforts. The differences in architecture and interiors of residential areas in this town shaped a suitable entourage to show the life of modern smugglers from all sides strenghtening all the necessary dramatic events for all the people, who was unlucky enough to be close to the criminal path. Some of the movie scenes were filmed in the south of Central America in Panama, and, more precisely, in the capital of this county. The story’s protagonis is a hereditary smuggler named Chris Farraday. After several successful operations, he became known throughout the region, but then retired to live a peaceful life. 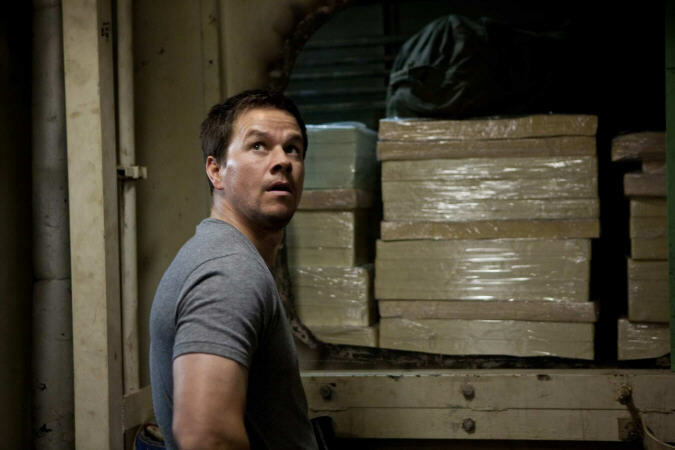 Mark Wahlberg’s character settled in New Orleans, managed to get a family and found a fair decent job installing security systems to households. Many tried to convince him to get back to his criminal career, though failed, and even the local criminal boss, Jim Church, played by David O’Hara shared the opportunity. Chris looks to be more interested in being a caring husband for his wife Kate Farraday presented by Kate Beckinsale, who bravely withstood several physically tough episodes. However, the problems came up unexpectedly. When the young smuggler Andy portrayed by a 22-year-old american actor and musician, Caleb Landry Jones, throws overboard a pack of transported drugs, he starts to owe a lot of money to the owner of the lost goods. By happy coincidence for him, he is the brother-in-law of famous Chris Farraday. Unintentionally, Kate pushes her husband to a new criminal heist to save the life of her brother and pay back his debt, but little does she know about all the stakes including the safety of her own and her child. Chris has to face some challenges, since his only hope in the new Contraband movie is closely tied to the deck of the ship captained by a sly mister Camp making out a great character in the hands of J.K. Simmons. Captain Camp was the one to put Bud Farraday behind the bars for smuggling, and it made Chris lack his own father played here by William Lucking appearing for a few short moments to share his wisdom with the son. Before delivering a huge load of counterfeit cash from Panama to the U.S. the smugglers have to admit that plans sometimes fail, and more often than not it is important to act according to the constantly changing situations. It would be hard to handle things alone, so Chris brings in his former team, where we enjoyed watching the performance of Lukas Haas, who is a fellow ordinary mate named Danny Raymer not trying to be a superhero. There is also an experienced ship’s engineer Igor marking the return of another member of the original cast from the Reykjavik-Rotterdam film. Both characters were played by Ólafur Darri Ólafsson, an American, who lived in Iceland for nearly his whole life. The criminal affair in Contraband also unites Chris with a Panamanian drug lord Gonzalo showing some eccentric performance by Diego Luna. This powerful local authority demands from Chris to help him with a daring robbery in exchange for some support of his efforts. Another notable villain here is a mature criminal – Tim Briggs. This dangerous hitman is waiting for Chris carrying out his plan and getting the money to return for Andy’s failure. Tim Briggs is a true mad man, who has a family, but isn’t afraid to lose everything to get, what he wants. 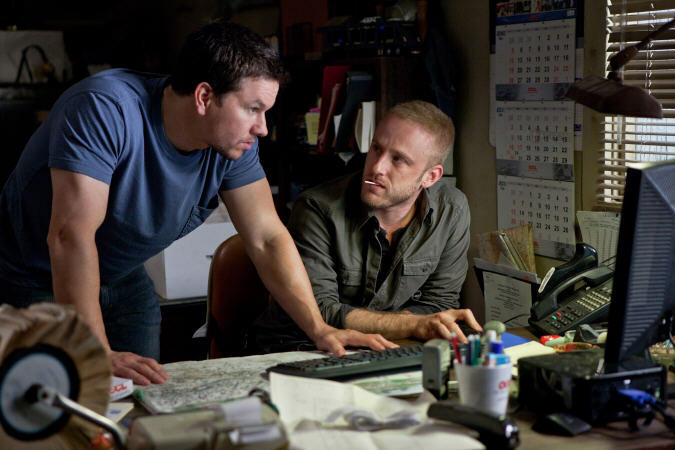 Giovanni Ribisi, who initially was cast for another role in this movie, turned his attention to Tim’s cruelty and a path of violence. One more important piece of this puzzle is Sebastian Abney, which is an old Farraday’s friend, who feels lost choosing the right road in life. 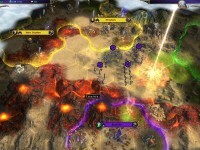 He is tasked to guard the Farraday’s family from harm on land. With all the help coming from the acting talent of Ben Foster this Sebastian is shown as a mystery man unfolding his true nature close to the final scenes. From a brave robbery to racing through Panamanian roads the smugglers had to transport their cargo showing their competence, knowledge and professional tricks being surrounded by the realistically looking adversaries, which Baltasar Kormákur hasn’t tried to color up in the Contraband movie. The opposite side shows even a simple close fight being a very violent action getting bruises for all its participants. The proper music accompanies all the events, and its author is Clinton Shorter. This Canadian composer is 40 years old, but he has already snatched a piece of fame for his work with the tracks for Cole (2009) and District 9 (2009) stories. Even though the Red Nation song performed by the american rapper Game in the Trailer is absent in the official soundtrack’s listing, still the latter one already available on iTunes features 18 exclusive compositions, which can be heard in the movie, and more than half of them were written and recorded by Clinton Shorter himself. Contraband presents not only a nicely crafted remake, but also shows a wisely made criminal thriller, which is fun to watch. This film unveils the dark side of the modern smugglers life facing a lot of challenges with staying alive and keeping healthy those, who are dear to them. Sharing a part of illegal activities, this risk makes them use all their skills to stay on board. The great cast and the entertaining script keep on involving into its story, and the production budget is far from the blockbuster’s usual scale landing close to 40 mln. USD.